I didn’t see GEOS or Contiki for the C64 on the list. If there’s interest in either of those I’m willing to take a stab at it. 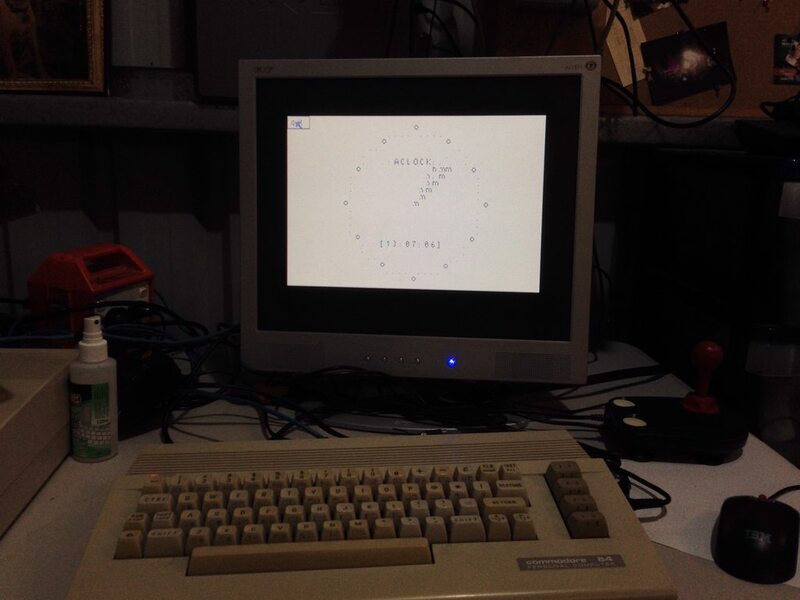 Well I have a working C64 binary (which is useless as there’s no clock on the machine) and an almost perfect C64/C128 GEOS binary (http://i.imgur.com/8a4pd7v.png). Once done I’ll make sure it works on Apple II GEOS and email you the code and binaries. 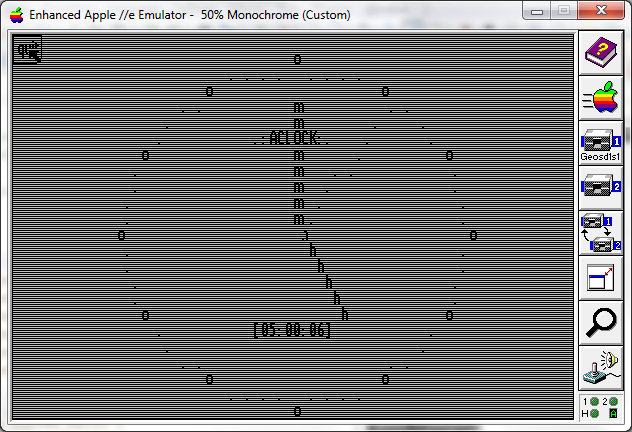 I’ve also pulled down the PC/GEOS SDK which includes the the Nokia communicator tools. I’ll see what I can do there. 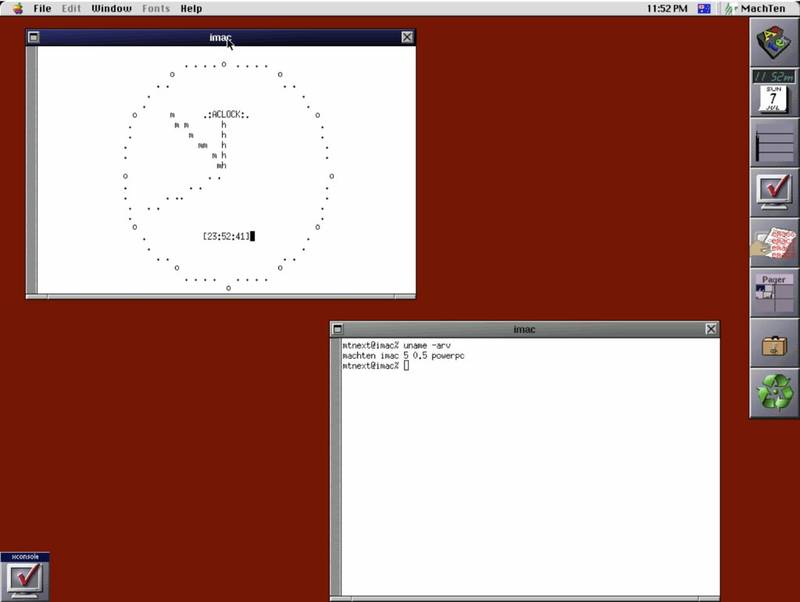 Finally, if I can ‘find’ a copy of MachTen for PPC Mac I’ll take a stab at that one. WOW thanks a lot! 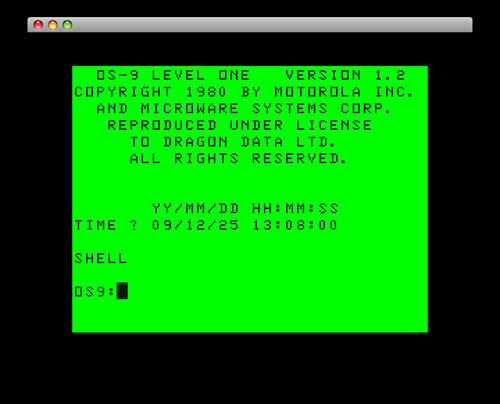 Can you also send a screenshot of it on Apple II GEOS? I remember there was a separate Nokia 9000 SDK but I can’t find it my archives. I do have and will supply PPC MachTen. Cool!! Would it be a big deal to change the FontHW variable from 2 to 1 and recompile and take a new screenshot? It shouldn’t be too hard to get this working on an Apple IIgs running GS/OS (Apple’s 16bit GUI for the machine), but alas I don’t have any dev tools for the platform. Unlike the 8-bit Apples, it came with a RTC. I forgot all about GS/OS. Orca/C seems to support GS/OS output too. Looks like its still commercially available though, so might have to look for some other options. Wow thanks a lot!! Could you also make a screenshot on Apple II GEOS? There was a special SDK from Nokia. I’m not sure if you can build it using PC/GEOS SDK, but for a simple app it may just work. I will supply PPC MachTen. Previous Previous post: Do you like old Commodore material?